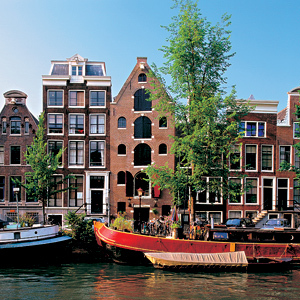 This European river cruise in Holland gets underway inits popular, modern capital of Amsterdam. This 700-year-old city offers an abundance of classic architecture, cafes, and restaurants to explode before you embark on your river cruise through Holland and Belgium. Sail through Rotterdam's harbor, said to be the world's busiest port. Garden enthusiasts will delight in a visit to see the breathtaking colors of Keukenhof, also known as the "Garden of Europe." With 70 acres of parkland and lakes, it's one of the world's largest flower gardens. Alternatively, an excursion to the city of Gouda, famous for its cheese, is available, before sailing to Antwerp-Belgium's second-largest city, combining ancient buildings and monuments with modern architecture. In Ghent, Belgium, join a local expert for a guided tour of the city, including a visit to St. Bravo's Cathedral. Back in Holland, Middleburg was formerly an important trading city and you'll get a sense of its wealth today with its impressive structures like the gothic Town Hall, Abbey Tower, and bustling Market Square. This beautiful and historic springtime river cruise during tulip season in Holland Belgium conclude with more change to explore the colorful city of Amsterdam. 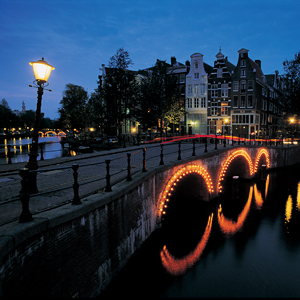 See the most fascinating area of the city on a canal cruise along the elegant Grachten lines with homes dating back to the city's "Golden Age." From seemingly unending fields of color from Holland's gardens, to windmills and waterways of Amsterdam, to the ancient and modern mix of Belgium's architecture, this European river cruise is sure to grow in your memory for endless seasons to come. Guided walk in Middleburg; guided tour of the Delta Works.